Engr. 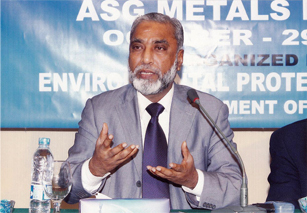 Iqbal Ahmed Khan visited Engr. 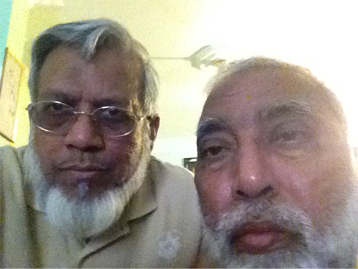 Abdul Wahab Siddiqui on April 08, 2017; he is not well since November 2016. 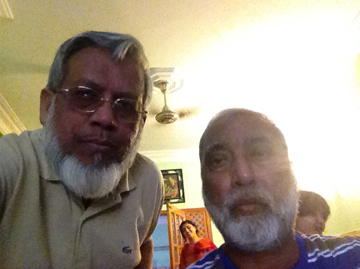 He went along with his wife Mrs. Tabinda Urooj to visit their sons Umair and Usman in Melbourne Australia. 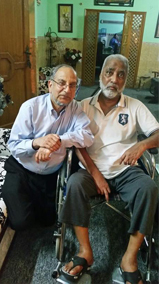 Just after few days Abdul Wahab Siddiqui fell sick and was admitted to the local hospital where he stayed for few days and was diagnosed with a brain tumor. 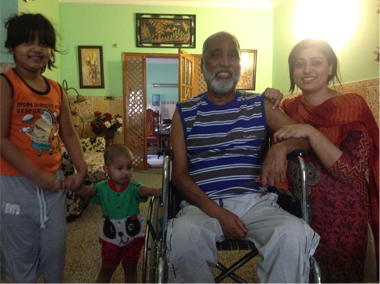 His son immediately arranged to travel back to Pakistan for a second opinion. 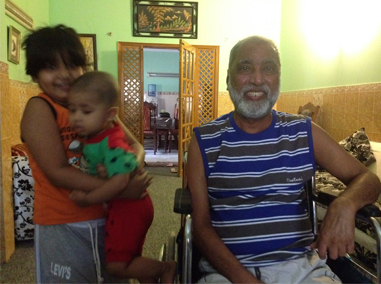 Umair got him tested in Agha Khan, NMI and Ziauddin Hospitals but the results were the same. 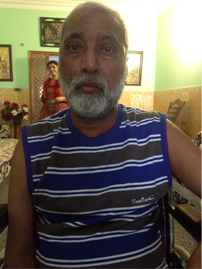 To date, he had six radiations and three chemotherapies at NMI Hospital and Alhumduellah there is improvement and as the treatment goes on it will be further from good to better. At present, he is in good shape but having a little problem with speech. Engr. 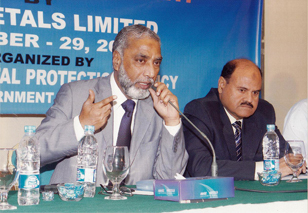 Abdul Wahab Siddiqui was the Director Technical Services in Pakistan Steel Mills and was forced to leave the organization in 2006. Since then he is fighting a case against the organization. Mr. Rasheed Rizvi, Lawyer is pleading his case and to date, there are no results. His all the dues are still with Pakistan Steel Mills. Later he joined Abbas Steel in 2007 and after his sickness just resigned in 2017. Umair and Usman are Software and Electronics engineers respectively and both are working in Melbourne Australia, Bilal and Talha are twins and doing their MBA and Hassam is doing his engineering from Sir Syed University of Engineering & Technology Karachi. Both the daughters are married and are blessed with daughters Nabeeha Khan and Eshaal Ahsan. Qurat ul Ain Siddiqui is working at IBA Karachi University and Dr. Noor ul Ain is a housewife. 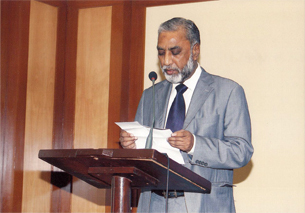 I request to all NED69ers friends to sincerely pray for Abdul Wahab Siddiqui for his fast recovery. Alhumduellah all his family members are in very high spirits and In Sha Allah we hope that he will be fine and join his routine schedule soon.